Each season of exhibitions is accompanied by different activities and events, which might be conferences, small discussions, art and writing workshops. You are welcome to join in - everything we organise is for and with our public and is about developing a greater understanding of art and the environment. If you would like to try some new creative writing techniques, then you will enjoy this workshop. Working over a day with exclusive use of the gallery and guided by expert published writer and artist, Patricia Mullin, you will be encouraged to develop a beautiful piece of writing. And - you can have the option to make innovative books using a variety of media. From time to time we like to hold joint events with one of the many other creative organisations in the town. 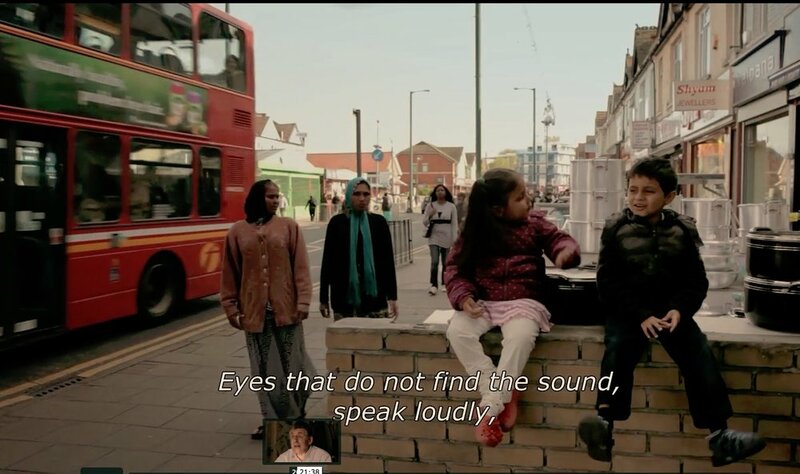 Recently we had a showing of Brazilian artist Elisa Bracher’s film ‘What Language do you Speak’ hosted jointly by King’s Lynn Community Cinema Club http://www.klccc.uk/. Last year we had pop-up taster concerts in the gallery organised by King’s Lynn Festival http://www.kingslynnfestival.org.uk/. The events and community engagement programme for Water Rising is being supported by Anglian Water’s Keep It Clear Campaign. We are working together with them to look at the use of water in the town of King’s Lynn, working with various community groups and local businesses. Come and join in each 3rd Saturday of the month - we have an informal sewing workshop. It began as Visible Mending and is now becoming Creative Remaking and is a sociable skill-sharing round-the-kitchen-table, where we all bring something we want to mend or alter. We share scissors, thread and needles - no special skill is required, just a bit of patience and belief in the economical virtues of mending and remaking to eke out our favourite clothes.